Click here to read other articles in Legends Of Indian Football series. Prime Minister Jawaharlal Nehru was looking towards the stocky but strong man to perform a miracle for India. SA Rahimai??i? ?s brave-hearts had thrilled the home crowd on their way to the Asian Games final but had struggled against Iran in first half. The Prime Minister had a simple request from him ai??i?? to score a goal. Nehru pleaded the striker saying that he had to bring gold for India to save his and the countryai??i? ?s prestige. The center-forward didnai??i? ?t disappoint Indiaai??i? ?s first Prime Minister. Mid-way in the second half, winger Runu Guha Thakurata broke past his marker and crossed into the box. The center-forward rose and volleyed it into the net. Ecstasy. That goal would prove to be the difference as India would go on to win 1-0 and clinch their first major football title. Did the doctors of the Railways hospital know about this story? Perhaps not. If they had, they might not have insulted the aged footballer by asking him to show his Asian Games Gold medal as proof. In the end, he was refused admission in that hospital. Did those reptilian cricket officials know about this story? Because even them, people who have probably never done anything substantial for the nation, managed to insult him a few days before his death. His crime? He asked for an IPL ticket for his grandson. This treatment should not come as a big surprise though. In India, we choose to decorate modest achievements of the modern generation while people who have brought glory to the country in past are discarded away. People like Sheoo Mewalal. Mewalalai??i? ?s father migrated to Kolkata from Bihar in 1920 to earn a livelihood. He eventually found a job in Fort William, the center for all British soldiers located in the area. Sheoo Mewalal was born on 1st July, 1926. Fort William and Hastings, the area in Kolkata where he grew up, would eventually play a big role in shaping his football career. Mewalal didnai??i? ?t have formal education and instead of going to school, he began to play football by the time he turned seven. He learnt the basics of the game by watching soldiers playing the game and his talent was soon spotted by Sergeant Barnett, who would become his first football coach. Impressed by Mewalal, Barnett helped him to find a place in local Morning Star Club. Two more people would help Mewalal become the player he eventually became – Sergeant R Blackey and George E Ainsley. In Nirmal Nathai??i? ?s ai?? ?History of Indian Footballai?? ?, Mewalal credited Blackey for teaching him how to shoot with both feet ai??i?? a hallmark of his playing style. Mewalal would go on to play for next few years in Morning Star Club before joining Khidderpore club in second division. He started out as a right-out in classical 2-3-5- formation but gradually became a center-forward. Mewalalai??i? ?s talent didnai??i? ?t go unnoticed as he finally broke into a big club of Calcutta maidan ai??i?? Aryan SC after scoring a goal for IFA XI in an exhibition match against Indian team. In those days Aryan was usually considered as he giant killer of local football scene and even reached the IFA Shield final. While playing in Aryan, Mewalal was picked up by East Bengal official JC Guha who wanted to sign the center-forward for the club. Had Guha managed to bag his signature, the history of East Bengal club could have had another gem. Remember, that was the period when Guha was assembling East Bengalai??i? ?s legendary five Pandavas team. Among the five it is often believed that center-forward Dhanraj was the weakest link. With Mewalal in that position it would have been a perfect combination. However, Mewalalai??i? ?s dream was to play for East Bengalai??i? ?s arch rivals Mohun Bagan, thanks to their legacy of being the first Indian club to win IFA Shield in 1911. JC Guha, a gentleman, informed Mohun Bagan coach BD Chatterjee of Mewalalai??i? ?s wish and his dream of donning the Green & Maroon jersey was fulfilled a year before India became independent. Mewalal didnai??i? ?t become a full time Mohun Bagan player though, as he played for the club mostly on loan. It is not fully clear why his career in Mohun Bagan didnai??i? ?t last longer but by 1947 he had left the Mariners to sign for Eastern Bengal Railways FC. His career would hit its peak here. The Greatest Center Forward in Indian Football? In terms of overall quality, SA Rahimai??i? ?s 1962 Asian Games Gold winning team was probably the greatest national team of all time. One thing that was missing in that team was a good center-forward, evident from the fact that Jarnail Singh, a central defender, had to play in that position in final two matches of 1962 Games. PK Banerjee, on of the pillars of that team, once lamented that if they had a goal-scorer like Mewalal then that team could have had a serious chance of qualifying for a World Cup. 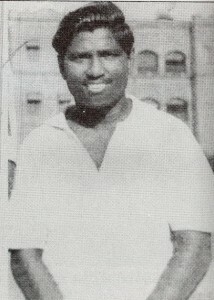 Between 1947 and 1957, Mewalal would hit his peak form as a striker. Despite playing in an inferior team, Mewalal consistently outscored strikers in East Bengal or Mohun Bagan. His form for EBR enabled him to find a place in Rahim saabai??i? ?s national team and he would remain a key figure for next half a decade. Mewalalai??i? ?s first major tournament for India was 1948 London Olympics. Led by T Ao, India put up a strong performance against France and narrowly lost 2-1 after missing two penalties. Mewalal assisted Ramanai??i? ?s goal in that match and was heavily involved in both the moves which resulted in penalties. The performance of Indian team despite playing without boots won admiration from all quarters, including the Royal family. Before returning to India, the team would go on to play some more exhibition matches and raked up surprising results. India beat Ajax FC in Amsterdam by a 5-1 scoreline, beat amateur sides Isthmian and West Amateur by 3-1 and 4-0 margins respectively. Indian forwards scored goals for fun in those matches and it was Mewalal who topped charts. Three years later Mewalal would reach the zenith of his career in inaugural Asian Games in New Delhi. India started the tournament on 5th March and dismantled Indonesia, which had booted players, by scoring thrice without reply. Mewalal opened the account just before half-time, meeting a perfect lob from Venkatesh. Two days later he would find the net again as India blanked Afghanistan 3-0, reaching the final. With the whoai??i? ?s who of the country in spectator seats, India would face off against Iran in the final on 10th March in Delhiai??i? ?s National Stadium. The first half didnai??i? ?t go according to the plan for the hosts. The Iranian players were physically strong and wore boots which intimidated Indians. At half time Nehru would come to the dressing room to motivate the team and he spoke specially with Mewalal. The rest, as they donai??i? ?t say as often as they should, is history. Mewalal would finish as top scorer in 1951 Asian Games with three goals. If not for those goals Indiaai??i? 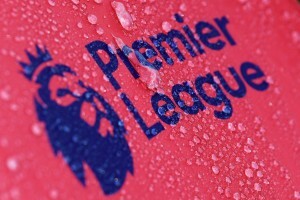 ?s Golden Age of football might have never kick started. A year later he would once again put his scoring boots on as India emerged joint winners in the first Quadrangular tournament after beating Myanmar and hosts Sri Lanka. Led by Sailen Manna, Indian defence also had a stellar tournament and was not breached even once in three matches. By 1953, Mewalal was slowly losing his footing in the national side. Two things contributed to this. Firstly, lack of spotlight on his club was finally having a negative impact. EBR had a moderately strong team but Mewalal didnai??i? ?t get the quality of players needed around him to cement his place for the national side on a regular basis. Secondly, the rise of Neville Dai??i? ?Souza also brought on curtains to Mewalalai??i? ?s national career. Technically strong Dai??i? ?Souza was younger and quickly became a favourite of Rahim saab. If Mewalal had played for either Mohun Bagan or East Bengal then undoubtedly his career for the national team would have lasted longer. Sheoo Mewalalai??i? ?s football career would end in 1958 during an All India Railway Tournament in Mumbai. Playing for Bengal Nagpur Railways, he squared off against Western Railway in quarter-final. With the likes of Dilip Kumar and Madhubala in attendance, Mewalal scored a goal in second half with a long ranger. Soon after the first goal he got a chance to score a second but was instead met by a mistimed tackle from A Servay. He suffered from a compound fracture in his knee and needed a surgery to walk again. That injury was never fully healed as he walked with a limp till his death. With over thousand official and unofficial goals, 1032 with 32 hattricks according to some stats, Mewalal deserves the epithet of a goal machine. His main strengths were positioning, poacherai??i? ?s instinct and an ability to shoot with both feet. He was physically not imposing and didnai??i? ?t have strong aerial abilities but he made up for it with courage and fearlessness. He was a master of shooting a running ball, a rare skill in his era. He was also one of the earliest practitioners of the bicycle kick in Indian football. He has the unique record on being the top scorer in Calcutta Football League four times ai??i?? 1949 (32 goals), 1951 (18 goals), 1954 (29 goals) with EBR and once in 1958 (16 goals) with BNR. Mewalalai??i? ?s scoring record becomes all the more incredible when one considers the quality of offence of other teams, especially East Bengal, in that period. In total he scored over 150 goals in Calcutta League. For India he was equally successful and finished as top scorer in two of the major tournaments he took part in. Three goals in 1951 Asian Games were followed by four goals in 1952 Quadrangular Cup. In the latter tournament he scored a hat-trick against Myanmar in second match ai??i?? the first hat-trick by an Indian in an official match. Mewalal also scored 18 goals during Indiaai??i? ?s exhibition match tour after 1948 Olympics. His 39 goals for Bengal in Santosh Trophy (5 hat-tricks) was also a record at that time. Few former footballers in India get the honour they deserve but Mewalalai??i? ?s case was especially sad among them. After retiring from football he didnai??i? ?t come into coaching but focused on spreading football in Hastings area of Kolkata, where he grew up. The Hastings club would become his life breath after retirement. Despite struggling to make ends meet, he would work hard to help Hastings club improve, often asking for contribution from others. Mewalal didnai??i? ?t have a clout among sports officials in the country. Thus, failing to fulfill one of the basic requirements to win national awards in India, the man who brought the country a gold medal has never won even an Arjuna Award. Forget awards, he was insulted multiple times during later years of his life ai??i?? sometimes by police, who refused him entry inside the stadium, sometimes by cricket officials and sometimes, far worst of them all, by doctors at hospital of Railways for which he scored hundreds of goals. He never declined invitation to attend football events. At times organizers would not even bother to arrange for his travel back home. Yet, he never complained. Such was his love for the game that he named his house ai?? ?Football Bhavanai???. On 27th December, 2008 Sheoo Mewalal passed away. Even after his death he remained a forgotten figure, so much so that media wrongly printed his name as ai???Sahuai??? Mewalal. His dead body was taken to some of the clubs in Kolkata maidan and was draped in both Green & Maroon and Red & Gold flags. Sadly, AIFF didnai??i? ?t bother to send a note of condolence and very few footballers attended his last rites. Sources: History of Indian Football by Nirmal Nath; Stories From Indian Football by Jaydip Basu; Articles in Ganashakti, Anandabazar Patrika and Khela Magazine.